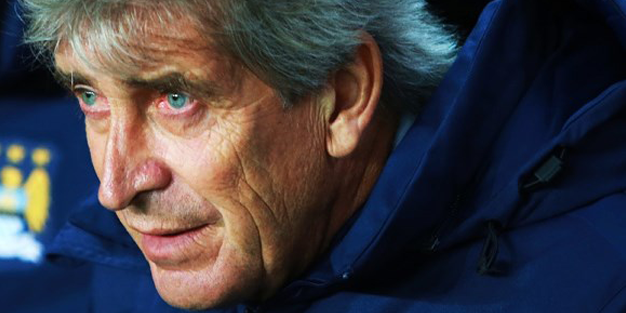 The potential ramifications for Pellegrini are obvious and after this latest defeat it will be difficult to see him still there come next season. The real story here though was of the re-emergence of one of the great forces. United looked ruthless and the team we saw earlier in the season has been replaced by the old, thrilling exciting team we expect from Old Trafford. City started well and looked the team more up for it and they were rewarded in the eighth minute when Gael Clichy, James Milner and David Silva combined to set up a brilliant opener for Aguero. Silva’s run and cross was brilliant. Their lead and dominance wasn’t to last long though. David De Gea’s long clearance launched United’s attack and Ander Herrera’s low cross found Young, his first effort was blocked by Clichy but the rebound fell nicely who forced home at the second attempt after 14 minutes. United then went ahead after 27 minutes when Young and Daley Blind combined before Young’s brilliant teasing cross picked out Fellaini at the back post, Clichy lost his man and the giant Belgian stooped to head home. Kompany was lucky to only get a yellow card for a bad studs up challenge on Blind in the 43rd minute, but the skipper hobbled off at half time and his £42m second-half replacement Eliaquim Mangala looked an accident waiting to happen. United were pulling City’s defence apart and if it had not been for keeper Joe Hart denying Wayne Rooney and the outstanding Michael Carrick then the damage would have been worse. It was only a matter of time before United got their third as Juan Mata, the hero of United’s recent triumph at Anfield, scored midway through the second half. There were strong suspicions of offside. Chris Smalling rubbed salt in the wounds and put the game beyond doubt in the 73rd minute when Young’s brilliant free kick found him unmarked and the United defender powered home a header. City brought some respectability to the scoreline which their performance barely deserved when Aguero pulled one back when he converted Pablo Zabaleta’s low cross after 88 minutes. Van Gaal appears to have found good partnerships all over, strengthening United. Young’s understanding with Daley Blind on the left continues to impress. Herrera and Mata clearly enjoy working their little passing moves upfield. Smalling and Jones appear a more solid axis, particularly with Carrick close by. Rooney and Fellaini look a well-balanced, split attack. Manchester United manager Louis van Gaal settled on a 4-1-4-1 system, with Michael Carrick ahead of the back line and Wayne Rooney as the lone striker. After a frantic tempo in the opening 15 minutes, United clearly looked uncomfortable on the ball and conceded possession often in their own half and the first United goal was against the run of play. A long punt down field was won by Marouane Fellaini in his unorthodox number ten position and Ashley Young must be credited with running across the defender to meet the cross. Despite being under constant pressure, Michael Carrick was organiser-in-chief, intercepting and re-circulating the ball, dropping back into the back-four to keep the shape and instructing Chris Smalling and Phil Jones like an attentive tutor. Carrick completed 54 passes, the most of any player in the match, for a 92% success rate. He also intercepted four balls, all “in the hole” ahead of the back four, where classic defensive midfielders roam to break up plays. No doubt that both Blind and Carrick are intelligent players who can read the game very well. Thus, they are capable of protecting the defence and build-up the attack equally well. But in terms of using the ball, Carrick exerts more authority in the play by making those forward passes through the middle and releasing the ball with better timing if compared to Blind. It could be due to Carrick’s longer experience in the game, enabling him to balance up between possession and penetration. The turning point of the game appeared after half-time, the next team to score would win the game. City had to counter and Ya Ya Toure was sacrificed, however Vincent Company’s substitution conceded control of the defining box 14! Rooney and Mata’s influence grew and they could opperate in this half space to control the game. United kept the pass tempo high and have learnt lessons from the Villa game where they struggled to create chances despite having majority of the possession. Aston Villa didn’t defend particularly well as there were gaps to be exploited but United were not able to read the situation to open up the opponent. They were just passing the ball side to side to both Valencia and Young. But even then, they were not creating enough good one-on-one situations for them to whip in crosses. Carrack has added this penetration and playing Rooney as the lone striker possession has been stabilised to play markers Mata and Herrera to create the chances. 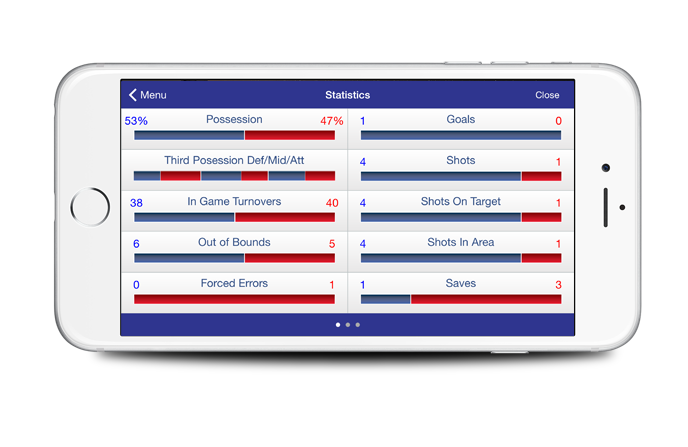 As can be seen from the Possession stats using the Quick Pass iPhone app, United were in control up to the pivotal third goal!